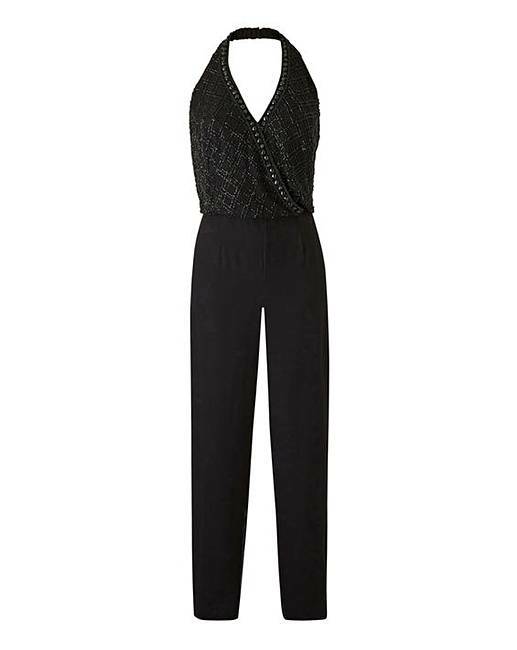 Joanna Hope Beaded Halterneck Jumpsuit is rated 5.0 out of 5 by 1. Exclusive to us - Joanna Hope. 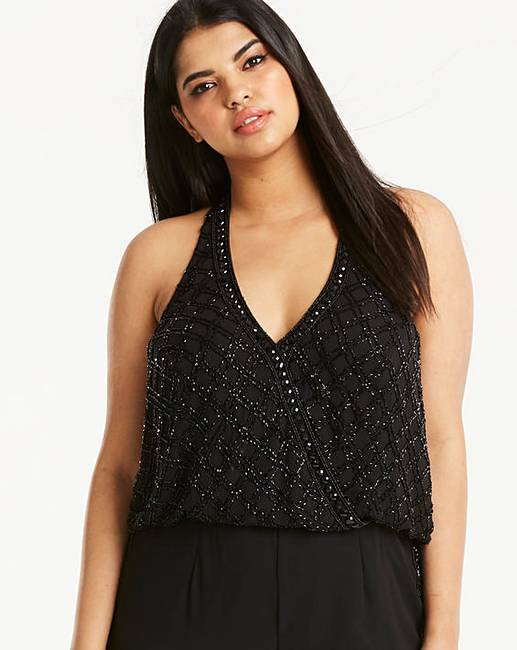 This sassy jumpsuit is a wow piece. With beaded wrap halterneck bodice that blousons onto straight-leg trousers. The trousers have beadwork stripe detail to the side of the leg giving the illusion of length. With side pockets. Rated 5 out of 5 by poppygreendog from Lovely dressy jumpsuit This is a really lovely dressy jumpsuit. We are going on a cruise and it will be perfect for formal night!